The Subsite Electronics Mainline and Lateral Inspection System allows you to view mainline and lateral pipelines simultaneously. This single, fully integrated unit does double duty, increasing your productivity day-in and day-out. While dual video monitors allow operators to view the mainline and lateral lines simultaneously, a rugged six-wheel-drive tractor powers through the lines and electronically synchronized mainline and lateral launch cable reels offer easy retrieval after inspection. This system offers two lateral camera options including the Subsite Electronics RodStar, which offers pan-and-tile capabilities and more. Utilizes dual video monitors allowing operators to view the mainline and lateral lines simultaneously. Inspect mainlines from 6-24 inches and lateral lines from 4-8 inches. 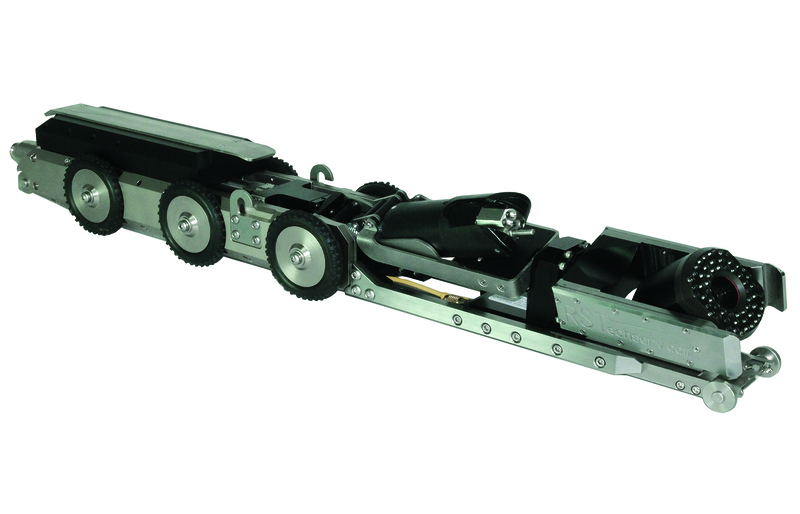 Capable of mainline inspections up to 500 feet in length and lateral inspections of up to 150 feet. 40:1 zoom pan-and-rotate mainline camera with auto iris and auto focus. Tilt connector for easy deployment. High-resolution 1545 lateral camera with auto-uprighting picture retracts at a rate of up to 30 feet per minute and features an integrated 512Hz sonde (beacon) for locating. Electronically synchronized mainline and lateral launch cable reels for ease of retrieval during and after inspection. 6-wheel-drive tractor features three forward speeds, reverse and freewheel. Compatible with RodStar high-access lateral camera with pan-and-tilt capabilities.